For nearly a century, GBI has transformed regions across North America by performing earthwork, excavation, site preparation, blasting, crushing, grading and paving, underground utilities, structural concrete and more. Today, our extensive resume reads like a catalog of the nation’s infrastructure, with a range of projects that include airports, bridges, dams, golf courses, harbors, highways, housing developments, marinas, parks, wastewater treatment facilities, wind and solar farms, fisheries, wildlife habitats and more. Throughout the United States, we have constructed new airfields and upgraded aging runways in remote locations with limited access, as well as high-traffic commuter airports. We work closely with the Federal Aviation Administration, project engineers, airport personnel and respective communities. 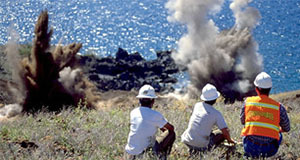 A subsidiary of Goodfellow Bros., Blasting Technology, Inc. (BTI) drills, blasts and demolishes rock and other structures. Over the years, our team of experts has joined forces to complete a wide range of projects across the nation. The ability to offer on-site crushing is another way we save our clients time and money. 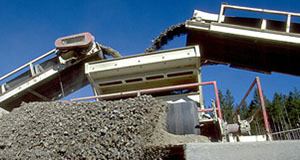 Our portable crushers recycle on-site natural resources to create a variety of aggregate products. This spares the expense of hauling away materials, as well as the cost of importing fill. In addition, this process reduces the amount of traffic on area roadways, which is a benefit for all involved. Our success can be measured by the quality of the longstanding relationships we have established and maintained over the years. The GBI Design Build team perpetuates these relationships by working closely with our clients throughout each phase of development, from the conceptual design stage to project completion and delivery. When safety is at stake, a job must be executed both quickly and efficiently. Our company has the personnel, equipment and expertise needed to assist with emergency repairs and mitigation efforts in order to safeguard the public and the environment. We work alongside some of the most prominent names in golf course design to create championship courses in many of the world's most exquisite settings. Our clients appreciate the quality of our work, and their customers appreciate our handiwork once they step foot on one of these award-winning venues. From small boat marinas to deep harbors that serve as gateways for international commerce, we provide the resources and technology needed to construct modern and efficient facilities. All phases of planning and execution are conducted with careful consideration of any potential engineering constraints or environmental concerns. If you have navigated the icy roadways crossing the frozen Alaskan tundra, traveled the paved ribbons interlacing the volcanic islands of Hawai‘i, or journeyed highways that cut through the rugged Cascade Mountains that link to the heart of the Pacific Northwest, you have experienced the fruits of our labor. Since 1921, we have built highways across the United States while remaining sensitive to local communities and the natural environment. 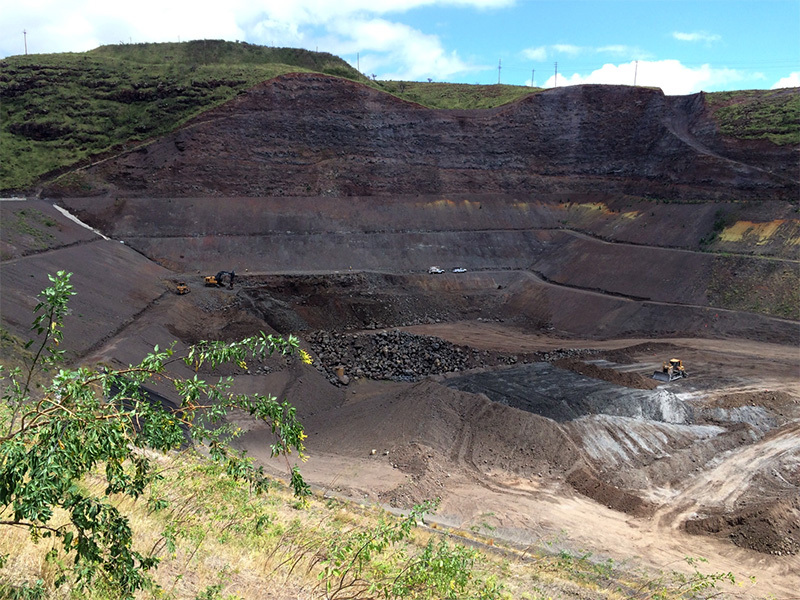 We have one of the largest fleets of excavating and earthmoving equipment in the industry, in addition to the expertise that comes from constructing and closing landfills in the western United States and throughout the Hawaiian Islands. These endeavors often prove to be difficult, as strict liability laws and environmental requirements regulate all aspects of landfill construction projects. However, we are one of the few companies with bonding capabilities for this kind of work. Whether a project is a single-family home, planned community, or a five-star luxury resort, we offer a range of comprehensive services for a variety of private developments. From initial site blasting to the final paving and road striping, we work closely with owners and design engineers to meet all budget regulations and construction schedules, while mitigating any potentially adverse impacts on cultural and natural resources. Among the many construction duties we perform, GBI grades and paves parking lots, prepares sites for new shopping malls and installs infrastructure for new and existing subdivisions. We create places where real people work, play, live and dream of the future. Our company is exceedingly proud to be a part of a number of community development projects across the United States. From infrastructure improvements designed to make neighborhoods safer, to repairing school facilities that enhance quality of life, we believe good corporate citizenship goes beyond an honest day's work. Wherever GBI works, you'll find us there, giving back to the community. In 1929, Goodfellow Bros. entered into what was to become nine decades of hydro contracts with the excavation and foundation work performed on Rock Island Dam, sited on the Columbia River in Washington State. We were also the first to excavate along the banks of the Columbia River to pave the way for construction of the Grand Coulee Dam. Since then, we have worked on dams and reservoirs throughout the United States. As the need for alternative energy continues to increase, so will the need for sun- and wind-powered energy production. We partner with leading photovoltaic experts and rotary windmill visionaries to develop innovative, much-needed renewable energy systems that deliver clean and energy-efficient solutions to the communities in which we live and work. Using superior, well-maintained equipment operated by highly trained, reliable and professional staff, we work closely with our clients to plan, develop and install infrastructure for large and small jobs alike. We also maintain consistent communication with owners, developers, subcontractors, appropriate agencies and respective communities.